There is no argument that AI is here and it’s here to stay. AI has been a hyped-up term for quite a while and is now a reality. This blog is a start of a series of blogs focusing on AI and how it can help improve your customer experience. 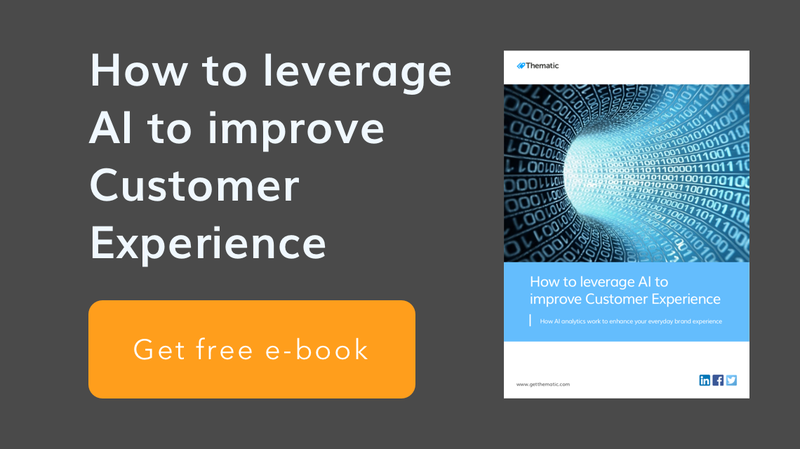 To get a full insight, download our e-book “How to leverage AI to improve Customer Experience”. What exactly is AI anyway? So, what’s the difference between AI, deep learning, and machine learning? We’ve come across a great analogy by Deep Learning 4J: “You can think of deep learning, machine learning, and artificial intelligence as a set of Russian dolls nested within each other, beginning with the smallest and working out. Natural language processing (NLP) spans across these fields. Whenever a task requires understanding human language (spoken or written), computers require various algorithms to process it. Machine Learning and Deep Learning are examples of such algorithms. Here at Thematic, we use AI and ML to derive deep and actionable insights from customer feedback. The big shift has already happened; however, the way AI will continue to change the customer experience landscape will have significant implications for the way consumers interact with brands and the world of business as a whole. 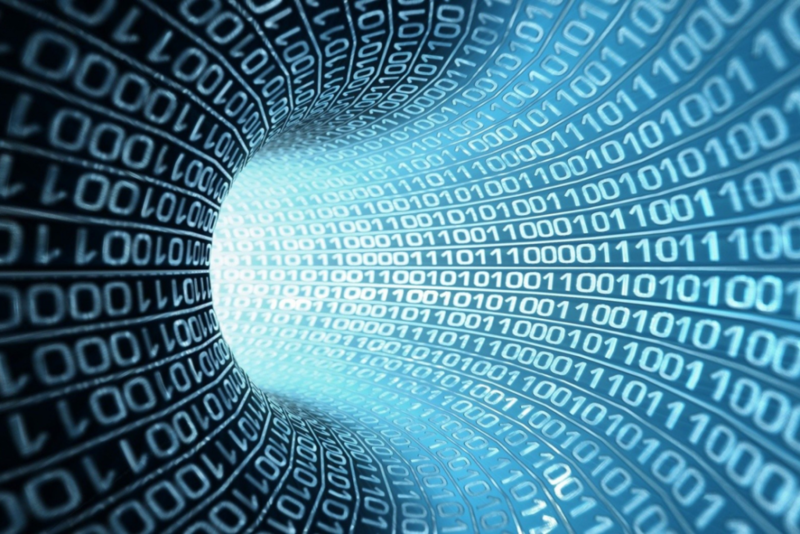 Gartner predicted that by 2020, 85% of customer interactions will be managed without a human. In addition, by 2020, smart agents will manage 40% of mobile interactions (Gartner). Further, Gartner predicted that by the end of 2018, “customer digital assistants” will recognize customers by face and voice across channels and that by 2018, 50% of agent interactions will be influenced by real-time analytics (Gartner). Whether these trends are on track or not, we’ve all used AI in some way, shape or form; whether it’s Google search, automated spam filtering, a chatbot, Siri, Alexa or another smart application. Back in 2016, 75% of companies said their top objective was to improve customer experience (Spigit Crowdsourced Innovation Report, 2016). From experience, we know that often companies don’t know where to start or how to go about these changes as it often requires a huge cultural shift within the company involving a large amount of employee engagement. As investing in AI is often a bold decision (as the return not being noticeable straight away) executives and boards often get impatient. The answer of AI then is welcome, as it can seem to be a quicker way to implement an improved CX. AI is changing the way we work, although should we need to fear for our jobs being in jeopardy? Maybe not just yet, as I learned at a recent SaaStr conference. But maybe soon — Forrester has gone as far as stating that “Artificial intelligence will replace 16% of American jobs by the end of [this] decade” (Forrester). Gartner predicts that AI platform services will “cannibalize” revenues from some current market leaders, and that 30% of market-leading companies could have their revenues tapped off by AI. Further, 38% of jobs in the U.S. could be vulnerable to AI by the early 2030s (Gartner). Most at-risk jobs are in transportation and storage, manufacturing, and wholesale and retail, according to a PwC report. This doesn’t necessarily mean that the job will disappear, even if it is vulnerable. There are other factors that come into play, such as economic, legal, and governing issues that could keep some of the vulnerable jobs around longer (PwC, UK Economic Outlook, March 2017). Watch this space for more AI blogs and insights!